As much as I love matcha, there’s nothing more soothing than a chai latte. Even just one sip of those warm spices sends a wave of comfort throughout my entire body. But you don’t need to head to your favorite coffee shop every time you want to get your fix. By creating a mix at home, you’ll have a stash that stays fresh in your pantry for up to three months. 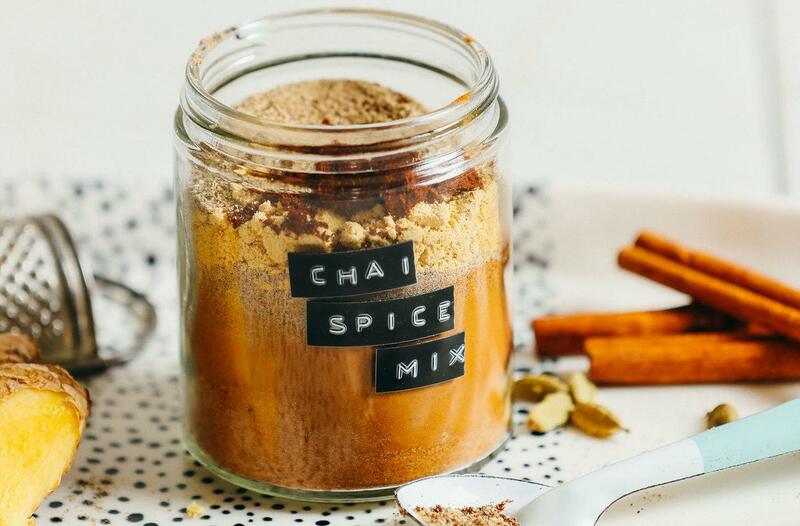 The blend—which can be used in both hot and cold chai lattes!—only requires a few minutes to create. After adding your spices to a small jar, all you need to do is shake or stir everything up to make sure all the ingredients are combined. Once you’re done, you’ll add 1 to 1 1/2 tsp of the mix to your favorite plant milk (she suggests coconut or almond) whenever you’re craving the beverage. Starbucks, who? If you’re in the recipe-making mood, there’s more where this comes from. Put the mushy bananas on your counter to good use with this vegan banana bread, or take a peek at these pancake recipes that are so healthy you can eat them every day of the week.